Madeira is a fortified wine produced on the Portuguese Island of Madeira – an island originally settled by the Romans yet left uninhabited for centuries before being rediscovered by the Portuguese. Like Port and Sherry, Madeira was hugely popular during the age of Empire building, as it travelled well, and was ideally placed to receive trade from cross traffic as goods and people were shipped from continent to continent. Unlike Port, Madeira will keep for months opened, without re corking, meaning that it needn’t be ‘quaffed’ in one go, something that is in any case unsuitable for a fine wine, which should ideally be savoured. 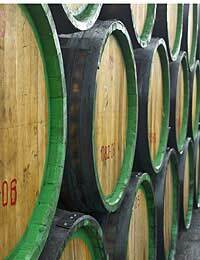 Additionally, Madeira is made each year, and not only on a good vintage, like Port, and can therefore be bought relatively inexpensively. Wine made in Madeira was initially made in a straightforward method with no fortification from grape spirits. However, spirits were later added in order to help the wine better survive long sea journeys. Curiously a 17th Century British embargo on the export of any European wine from non British Empire ports excluded Madeira, making it a favourite with settling Americans, who frequently docked at ports in Madeira during voyages. It was noted when exporting Madeira that exposure to the Sun on sea voyages and the rocking motion that naturally accompanied its journey led to a fuller and more rounded taste. In light of this, and rather bizarrely, shipments of Madeira were used as ships ballast and sent on round the world voyages to better age them, before being returned and bottled in Madeira itself. These days much the same effect is achieved by alternately heating and cooling the wine in large specially dedicated buildings. In spite of – and possibly because of - this strange treatment, Madeira ages better than virtually any other wine in the world, making it a popular collector’s drink. It is not unknown for a Madeira to age brilliantly and be as drinkable as a young wine at the age of 100 years or more! Changes in the economic and political situation of Portugal have led to the uprooting of many vineyards in Madeira as they have been tuned into either Banana plantations (which are more profitable than grapes) or holiday settlements. However, Madeira continues to be a popular drink, despite its association with cheap export Sherry, and is enjoying increased interest due to a general upturn in the quality and novelty drinks sector. There are four principle styles of Madeira: Malvasia, Bual, Verdelho and Sercial. The former has historical significance for its supposed part in the Death of the Duke of Clarence, who when asked following his prosecution in 1478 how he wished to be executed, replied that he wished to be drowned in a bath of Malvasia! Malvasia and Boal are both sweet, whereas Verdelho and Sercial are dry wines. Each of these varieties are made from a specific grape and must contain at least 85% of that grape. Madeira goes well with Fruit Pies, Mince Pies, Christmas Pudding and Christmas cake, due largely to the fullness of its flavour, coupled with its bold and rich aftertastes and smooth palate.